Found and replaced a bad electrolytic capacitor in a 12V-to-110V power inverter. A suitable replacement was harvested from an old ATX power supply, and the unit came right up. Yet another victim of the capacitor plague was spared from the landfill. Figured out why a 60" DLP television wasn't powering up and helped Queeg order parts for it. Troubleshooting electronics really isn't that hard. Knowing some basic electronics theory and hands-on skills can provide a lifetime of free TVs and DVD players, less stuff wasted, and a sense of satisfaction when you troubleshoot and fix something. 1. Safety (Being able to identify the high-voltage sections and avoid them, knowing how to discharge the capacitors, working with one hand in pocket when devices are under power, etc. ) Sam's LASER FAQ has a great section on safety. 2. Disassembly (Finding the hidden screws, using a guitar pick to spread open plastic cases, heat guns to soften glue, etc). 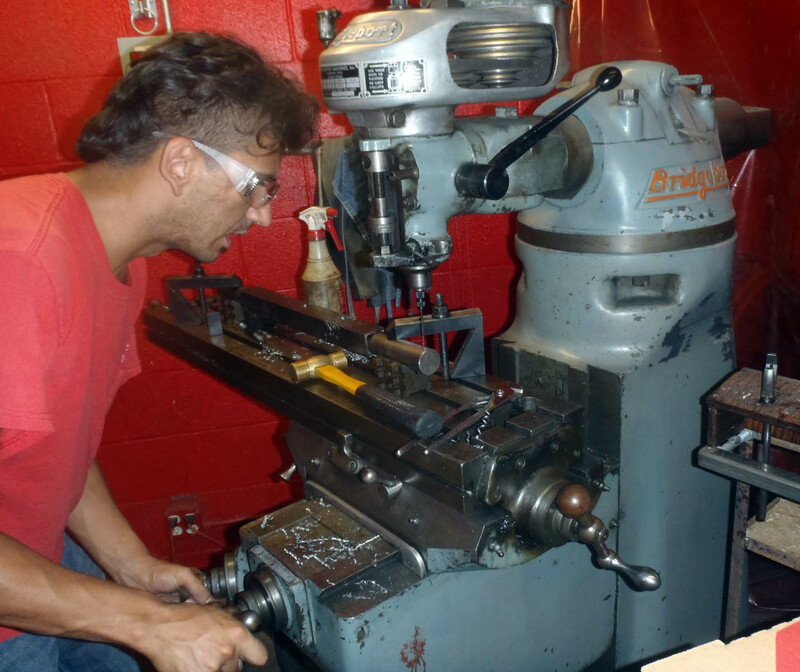 Many sites offer free"teardown guides" for specific products. These are especially helpful for phones, laptops, and other tightly-packaged electronics. 3. Board and Component ID - Figuring out what's inside and what is likely broken is mandatory before trying to fix it. Power supply issues are common and often easy to fix as they use big, simple components. If the device is "stone cold dead," it could be a simple component like a fuse, capacitor, diode, or similar. Tiny little logic boards filled with proprietary chips are not so good for DIY repair. Lots of good info on component ID is here. 4. Use of multimeters and other test equipment. Identifying test points and checking voltages is a good place to start. Many devices (flat panel televisions, for instance) use a generic power supply board that has all of the voltage inputs and outputs labeled. Troubleshooting caps with an ESR meter is another great skill to have here as well. We picked up the Anatek Blue kit from Amazon and have had good results. 5. Power system troubleshooting - this includes fuses, connectors, diodes, capacitors, transistors, and other high-power components. If a fuse is bad, there's probably a reason, so it's best to identify any other obvious problems before just replacing and powering up. 6. Soldering and rework - Very old PCBs can be fragile and require careful use of the iron to avoid lifting the Copper traces. Small SMT parts are often easier to work on with a pair of hot tweezers, hot air pencil, and a magnifier. All soldering should be done with a decent temperature-controlled iron. We like Metcal and Edsyn, but many affordable (US$50 range) alternatives exist. Pro-tip: Adding some lead-based solder to a lead-free joint will make it wet and desolder much easier. 7. Finding manuals, on-line forum posts and other resources. Often times, a quick web search with terms like "Toshiba DLP televesion white streaks" will net a wealth of useful information. Certain models tend to have the same things go wrong over and over. Components can often be exactly identified by part number. Distributors like Digikey, Mouser, and Newark/Element 14 have extensive data sheet archives and links to helpful info. Desoldering the old Atari 2600 DB9 connector. Date on the PCB was 1980. Alan Rice talking troubleshooting theory with the group. 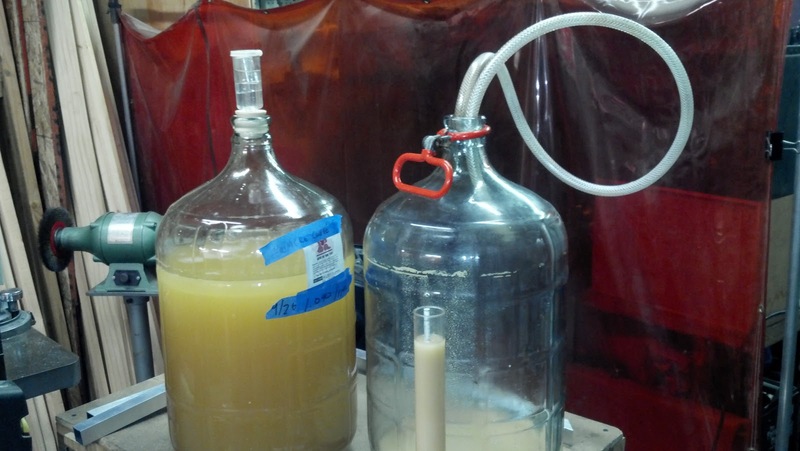 Mead is one of the oldest alcoholic drinks. The Vikings and even the ancient Egyptians had a version of this honey-based beverage. If you've ever tried to buy it you probably know that it's expensive and not stocked in most regular stores. Pescador, Eddie Current and I decided to go in on a 42lb bucket of clover honey from Honeyville Grain in Rancho Cucamonga. If you live near SoCal or Salt Lake City, Utah, it's worth checking out this store. Their selection is split evenly between bulk bags of exotic grains like spelt, amarinth, etc, staple foods of every description, and stuff for Mormon survivalists. They also have a good on-line store, although prices are cheaper if you walk in, as shipping is included for on-line orders. 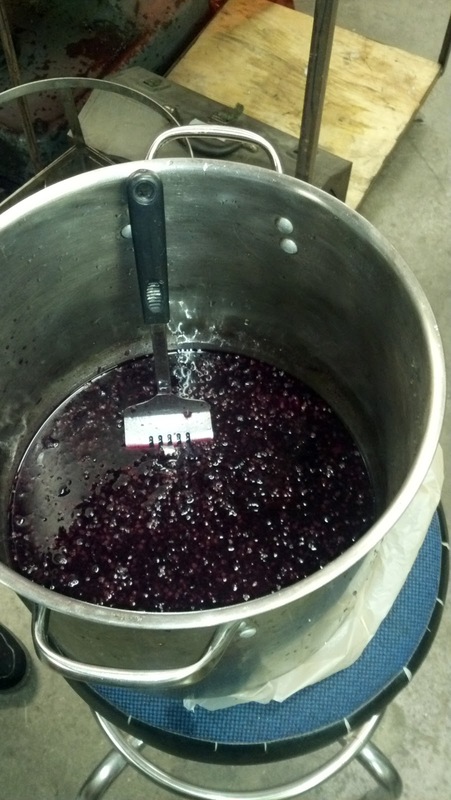 Mashing up 6lbs of blueberries and blackberries for batch #1. Oregon Fruit Products makes a nice line of canned pureed and whole fruit bits, perfect for brewing. We just mashed it up with a spatula and poured it in to the "fruit" batch. Be sure to remove the fruit peels and husks after a week or so to avoid off flavors. Pouring the cooled liquid into batch #2. Total potential alcohol is going to be 10-11%. 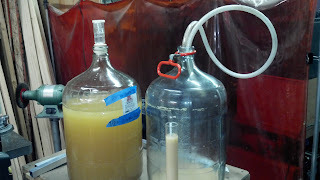 We did 3 different yeasts - 2 Lavlin wine yeasts and an Ale yeast. 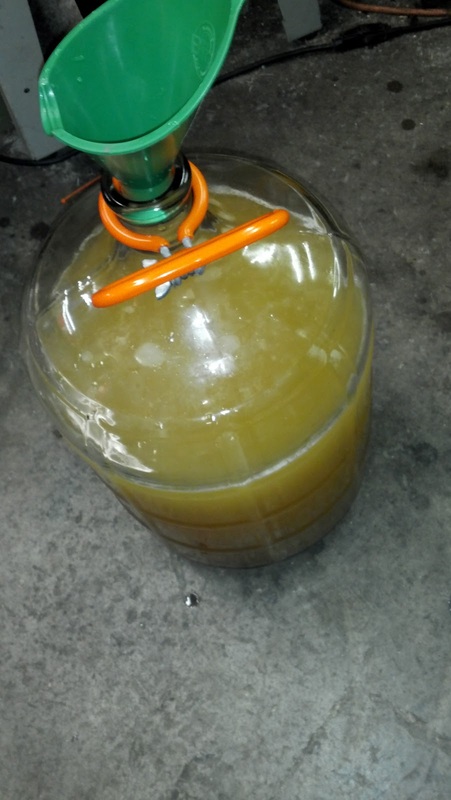 The Wine yeasts should take it to higher alcohol content and/or a drier finished product. Here is the setup for siphoning the liquid between glass carboys. I like the reinforced poly pressure tubing, used for restaurant ice machine and CO2 lines. The item in front is a specific gravity measurement device. This is how you know the sugar content and thus the potential alcohol to expect from each batch. We have a caving club that meets at the shop on the 4th Wednesday of every month. 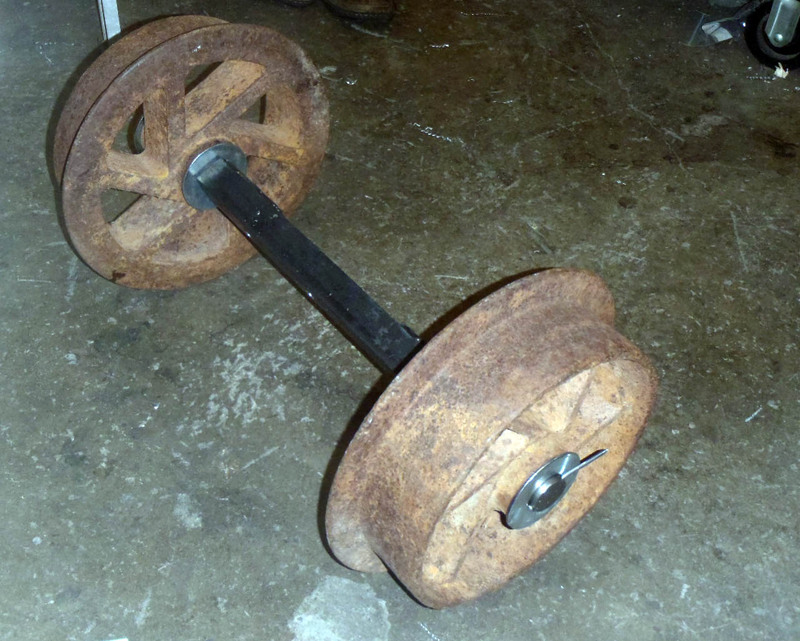 At the last meeting, someone brought in a mine car that need a new axle. So we built one. The materials were 1" solid 1018 steel bar, with angle iron welded over half of it to form a square section. A bunch of mounting holes and such then got drilled on our 1950s Bridgeport mill. So the next time your 1800s ore cart takes a dive on you, we can definitely make new parts for it. For real. O how i wish they still used this logo. Not to mention the rest of the entire build, including the sexxxah flared acoustic coupler cups.